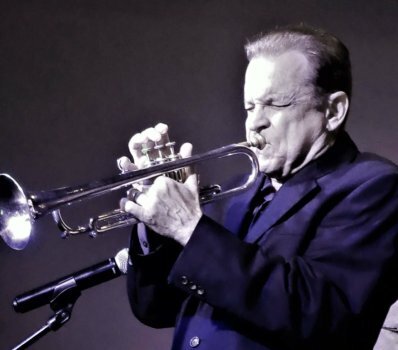 “Little” Big Band Atlanta is a true taste of yesteryear that will take you from Latin Jazz, to Classic Jazz, to The Great American Songbook and to original compositions by Music Director Rick Harris. Think Congas and Club Tropicana! Think crooners from back in the day! This 10-piece horn band plays corporate event music, wedding ceremony and reception music, fine dining music, outdoor venues, jazz clubs and more…and brings Rick Harris’ unique and intimate style to each and every show. Rick is a well-known metro Atlanta musician known for his nationally-acclaimed vocal quartet Mad Romance. An award-winning vocalist and arranger, Rick is also a multi-instrumentalist who plays piano, brass, sax, Latin percussion and strings. “Little” Big Band Atlanta is the perfect choice for an intimate evening of elegant music. See our Partial Song List below – but keep in mind it’s just a small sample! Let us know what you want to hear, and we will play it! A typical event includes live music played over a 4-hour period, with breaks arranged around your event schedule. During breaks, we are happy to play the background music of your choice over our PA. You can also use our PA to make your own announcements or request that we provide Emcee duties for you.